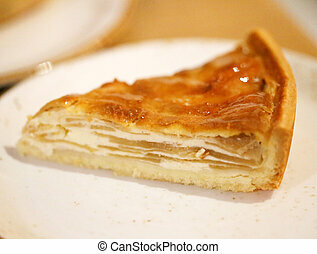 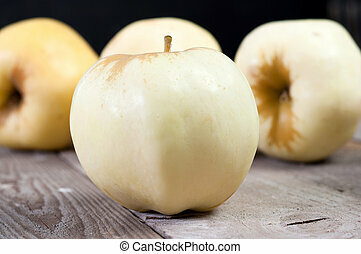 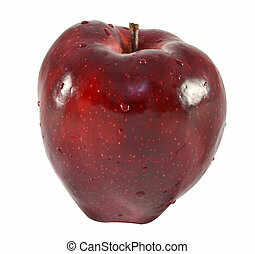 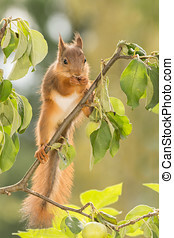 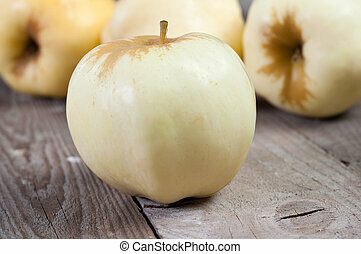 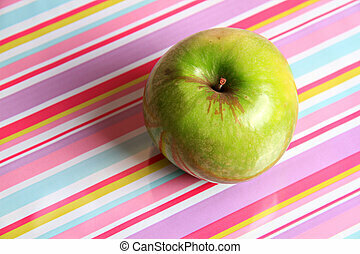 Bright apple. 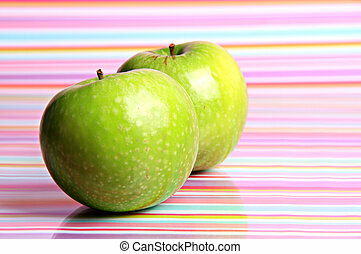 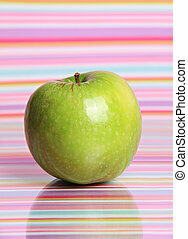 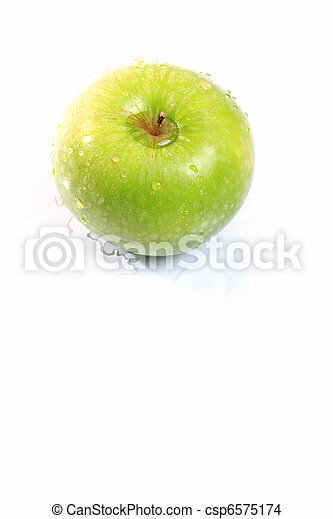 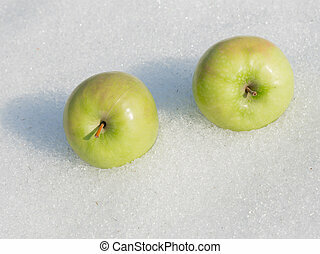 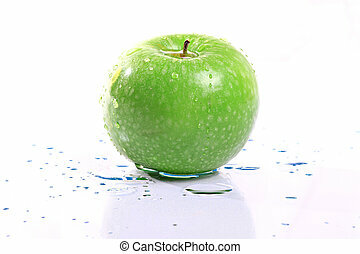 A bright green apple on white with water droplets on it. 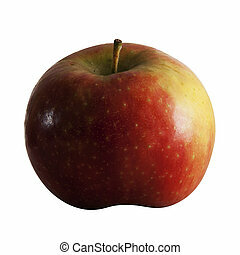 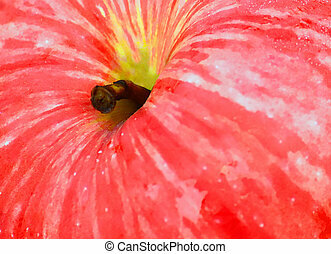 Red delicious apple on napkin in close-up. 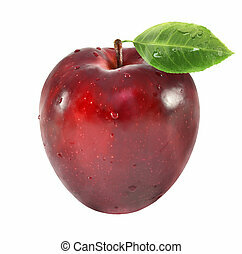 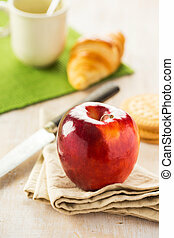 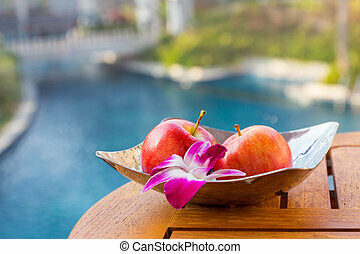 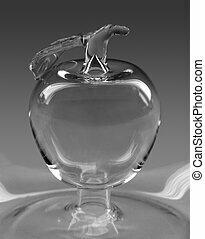 Bright apple with orchid in plate on the table over natual background. 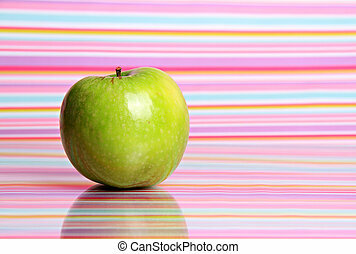 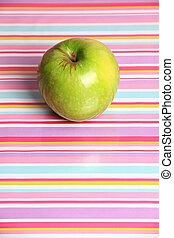 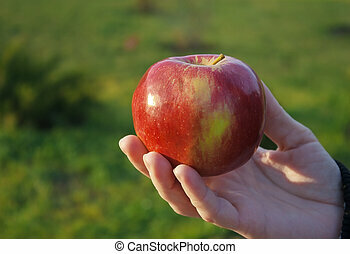 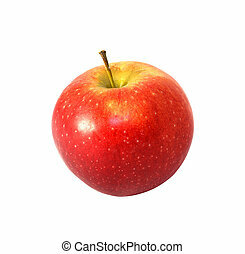 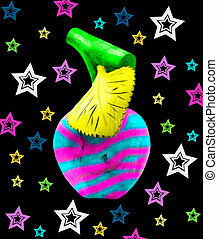 a shot of a shiny apple from above against a colourful stripy background. 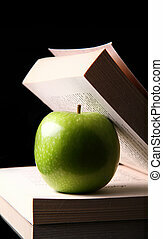 an bright green apple lies inside a reading book to stop it closing. 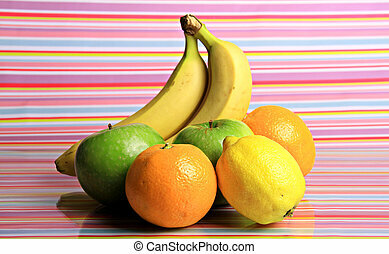 a bright group of fruit together on a shiny multi coloured surface with the concept of healthy eating.